Eat only the fish that are smaller than you are. Dodge laser beams and destroy the training balls. Slash everyone you can, and build up your weapons. Multiply your blob to defeat the enemy blob. Pinatas have come to life and are taking over the neighborhood. It's up to you to smash them. Navigate your fireball down the cave without hitting the walls. Destroy whatever you can along the way! Defend your dome by bouncing balls off of incoming asteroids. Fight off enemies in your fully equiped copter. Destroy as many creatures as possible with your pitchfork. Pretty simple game. Avoid the triangles and get the red dots. Bizarre side scroller. Shoot the enemies and follow the directions. Guide Indy through the mazes to find rare artifacts. Rotate the planet around to avoid the incoming meteors. Unique twist on an Asteroids style game. Use your alien powers to transform soldiers into peace loving hippy pacifists. Launch each character from the dock to the boat. Crazy game. Bite the red ants on the back. If you go for the face you will die. Defend your castle by clicking on the incoming enemies. Don't eat the salad! Only eat the junk food. Run, jump and shoot your way through this cool side scroller. Use your ninja skills to defeat the enemy. Avoid the border patrol to get to the USA. Navigate your penguin through this arctic environment. Launch the kitties at the wall. Collect as much cheese as you can and finish each level in this 2d side scroller. Train to become a proffesional sniper. Rotate around the tunnel to avoid the oncoming barriers. Stay on the track. Steer yourself around by clicking on the track. Use your hose to put out the fuse and keep Tobby alive. Another asteroid style shooter with more enemies. Fight off the incoming danger by launching bullets from your spinning wheel. Run around and punch everything you can. Eat everything you can, but don't hit the mines. Pilot your spaceship through the enemy filled sky. Blast everything you can. Snowboard down the mountain and jump over all of the obsticles. Catch all the beer you can. Only attack the birds that are larger than you are. Drag George W. Bush through the maze of bubbles. Hit as many penguins as you can with your trusty ice cube shooter. Calculate the angle and velocity you will need to destroy the enemy tank. Avoid the incoming attacks and destroy your enemies using both missles and bombs. Descend to pick up water and then use it to put out the fire. Hit as many lightbulbs as you can with your moth before the lizard short circuts the electricity. knock the opposing ball into the walls by shooting it. Blast your way through this 2d side scroller. Intercept the incoming fire with well timed explosions. Hit your opponent with water balloons. Try and reach the goal on each level. Run into the other lady bugs to reach the next level. Eat all of the falling fruit that you can before the ground is all gone. Knock your opponent out of the circle. Catch the white dot and bring it into the inner circle. The name of this game says it all. But in case you need further description, here it is, shoot the birds. Use the spacebar to throw the missle as far as possible. Pilot your amoeba to connect with other amoebas, don't hit the green blobs. Build your space ship and collect gas while blasting incoming asteroids. Save the earth by destroying all the incoming danger. First Person shooter to guide a soldier through enemy territory killing enemies. Dodge incoming enemies and blast your way through, in this sci-fi shooter. Destroy ghosts and goblins in this 2d side scroller. Build up your weapon & defence systems & defend the planet by destroying the incoming enemies. Try to eliminate the open space on each level by locking in the ghosts. Jump off a cliff and see how much money you can collect before you splatter on the ground. Fight off the enemies and stay alive. Upgrade your weapons as the game progresses. Very cool action game with smooth movement and alot of levels. Defend you castle by throwing enemies up in the air and letting them splatter on the ground. Set your arrow velocity and angle to kill your opponent. Choose your character and fight it out. Navigate your copter through the tunnel without hitting any obstructions. Protect your baby from child protective services. Try to get the biggest snowball you can, by rolling down the hill taking out whatever you can on the way. 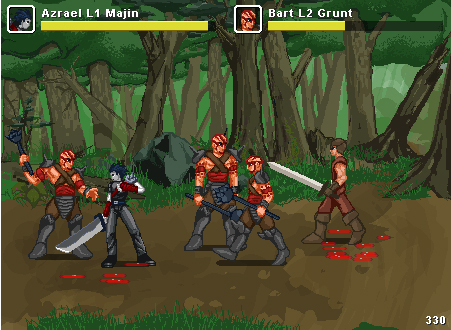 Defeat the warlords in this epic 2d side scroller. Help protect America's border. Shoot all the incoming illegals! 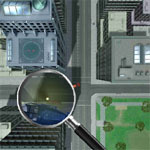 Navigate your copter through different mazes to reach the goal. Travel through time in this comic book style 2d scroller. Very cool fighting game with unique control. Give it a chance it takes a little getting used to. Become the big fish in the pond by eating fish that are smaller than you. Weave your way through the traffic in this high speed racing game. Evil has invaded. Its up to you to purge it from the city. Defend you castle by fighting off the enemy with your archers. Time your punched just right, and smash through the ice. Smash the cratures with a hammer. Knock together all the balls of the same color. Focus the sun rays to burn everything and everyone in the city. Throw snowballs at your enemies and roll them out. Your mission is to take out as many Chavs as possible. What's a Chav? Play the game to find out. Navigate through the tunnels in this 3d flying game. Navigate your tadpole through the caves. See how high you can get. Guide Batman through Gotham City, beating up the criminals wherever you find them. Take out the taller buildings first. Spank the monkey as hard as you can. Blow away everything you can in this 1st person shooter.